This site covers a number of SMS sites available online free of charge. However, if you want to sent large number of text messages at the same time, you will need to engage a bulk SMS provider. This site covers free SMS sites and reputable Bulk SMS providers. As you would imagine from the heading free SMS sites do not cost you or charge for sending out text messages. Whereas with other SMS provider sites will place a charge for their service to send text messages. What needs to be considered is the number of SMS you wish to send and to whom and how often they will be sent out. 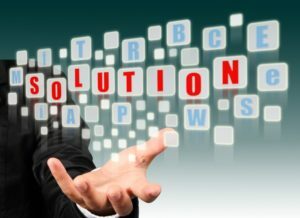 With SMS Providers who are specialist in this filed, the services they have to offer are not free because they have developed their own API and other platforms, they employ people and they engage mobile telecommunication networks to effectively and efficiently send out or receive text messages. These providers are private enterprises are needed to make money from their services. So how do people or companies provide free SMS? There are people or organisations that develop their own websites and through the opportunities of advertisements accepted on their websites, they can cover the cost of forming and sending text messages. It’s through this advertising income stream that such apps have been developed that will allow someone to send SMS for free without using the telecommunication carriers such as Telstra, Vodaphone or Optus. An example of an app that offers free text messages is WhatsApp, having more users than Twitter or Facebook. Many of network carriers offer unlimited text messages which appears to be at no cost to you. The carrier does not have to incur a cost for using their network to send a text message so what they do is bundle with other features so that one feels they are getting text messages at no additional cost. By going onto Wi-Fi and using one the many apps that offer sending out SMS, you are texting for free. Distributing medium or large volumes of SMS becomes a more specialised area and does require the engagement of a bulk SMS provider or a Marketing SMS provider. These companies will assist marketers and businesses to penetrate into a large group of people or customers and therefore offer a product or service quickly and effectively. By sending a text message at any time to a group of mobile phone users, the business will attract attention from these users. It has been shown that most mobile users open such SMS almost immediately on receiving the promotional or communication message. Bulk SMS is used extensively by businesses and organisations because the costs of sending a message are relatively cheap. 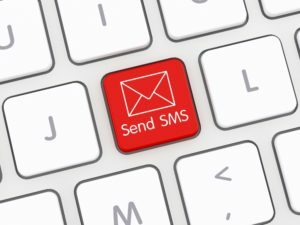 The Bulk SMS provider has all the platforms and technology to ensure that a message developed and processed can be easily and quickly be sent in a format that is readable to a person when they receive it. The larger the volume of SMS sent, the economy of scales dictates that there will be a lowering of cost of a SMS for your marketing or communication needs. There are a number of bulk SMS providers in UK. A comparison was made of the top ones in this country on their fee structure, and the table below compares the five bulk SMS providers in terms of rating from cheapest to most costly. Using Bulk SMS provider will mean that you can be assured that their reliability and distribution is very effective. As previously indicated, something along the lines of 90% of all text messages sent at a particular moment in time will be read within 30 seconds of receiving the message. This means that the business can encounter customer engagement and if required a response or a take up rate in the near future to either the product or service. This is better than the take up rate to an email and more impact than a tweet. There is a choice of features that SMS bulk providers can deliver, ranging from 95% or more uptime guarantee to customer service provisions to respond to your needs. What are some of the free SMS sites online? If you are on Wi-Fi there are some Apps that are free and have the facility to text message for no cost to you. There are a number and only the most popular will be covered on this site. WhatsApp – probably the most well-known and popular text message app available. It is part of your existing mobile phone and contact pages. It means that when you upload WhatsApp on your mobile phone, you need to provide your phone number by receiving a text message. This will associate the app with the mobile number provided on its servers. From then on, you can send text message to your friends, family or colleagues as long as they have the WhatsApp app. It works on the same way as SMS by sending messages through the Internet. SMSPup – This is an British free SMS service and allows you to send text messages online with no hidden costs or charges. It is just a matter of joining SMSPup. Once you have done so, you can us the site to type your SMS, enter the mobile phone number and then send. The text message will appear to come from your phone. SMSFun – Another British site that stets they are the largest mobile social network. By registering with SMSFun you can send free SMS worldwide to over one hundred countries. They are able to offers mobile services to not only send free SMS, but also send free MMS, and SMS reminders. E-freesms.com – As stated there are numerous free SMS services available and this site will also send free SMS to any mobile in the world. The major difference is that no registration is required. It is just a matter of writing your text message and sending it. If you have already been reviewing a number of SMS Providers, you will see there are large amount of information on their IT features, costs, reliability and customer service that make you decision difficult to compare one against another provider. That’s why this set of SMS Comparison Tables and associated sites have been prepared for your use. It came about because the authors, who worked in the SMS field, realized that people were confused about the way to compare one provider against another provider. 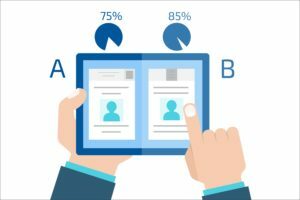 With the expertise, knowledge and experience of the authors, you now have an easy to follow and understand means of comparing, with the independence of the authors’ reviews. The SMS Comparison Tables and sites are free of charge and hopefully provide you with a simple means of comparing and making a decision as to which provider would serve you best or just comparing and understanding fully what there is to offer. Although there is no charge or fee to you, should you decide to use one of the SMS providers listed, the authors will request a commission from the provider. The SMS Comparison Tables and Sites are constantly been updated. However, should you find some differences in content between the SMS provider site and the authors’ sites, please let them know so that changes can be made, if required. It is hoped that the Tables and Sites will be informative and assist you in your decision making process.